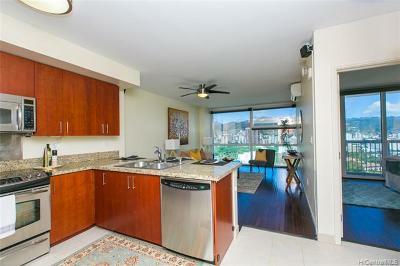 909 Kapiolani was developed in 2007 by Posec Hawaii. 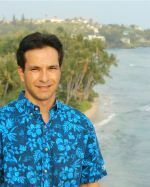 Its distinguishing features are its white painted concrete structure with green-blue glass and with its prominent location at the corner of Kapiolani Boulevard and Ward Avenue. 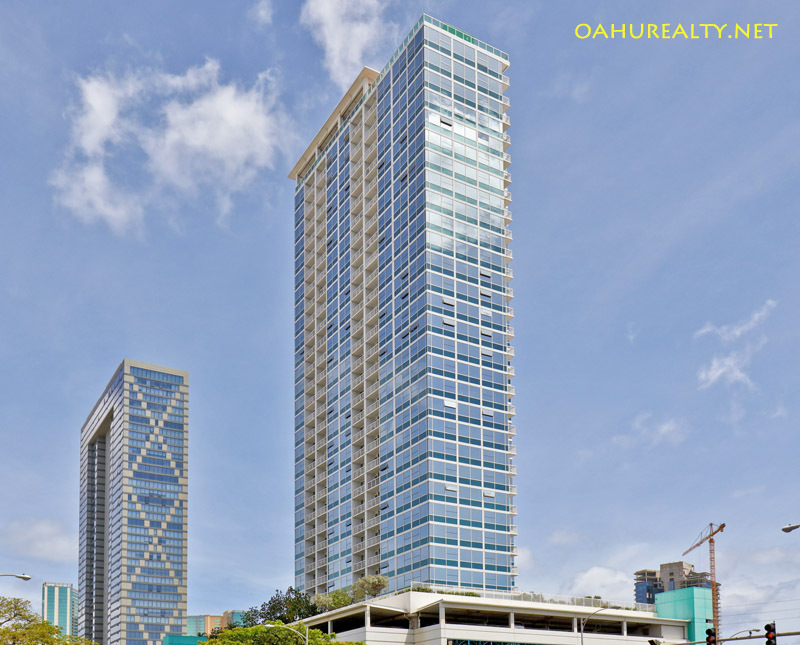 909 Kapiolani has 225 condo units in one, two and three bedroom floor plans. 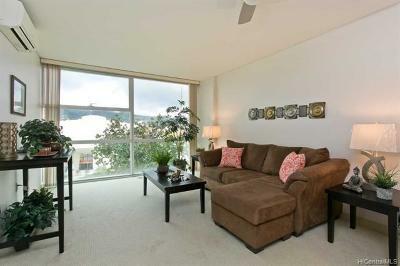 The condos feature double-paned windows, floor-to-ceiling. High floor units on the makai side have ocean views. Mountain views on the other side of the building are pleasing and your unit will be cooler in the afternoon when the sun gets lower on the horizon. The recreation deck on the sixth floor features a swimming pool, gas barbecues, a fitness room and meeting room. Ground level retailers include Greens & Vines restaurant, Mr. Tea Cafe and 909 Beauty Essence, a skin care store. 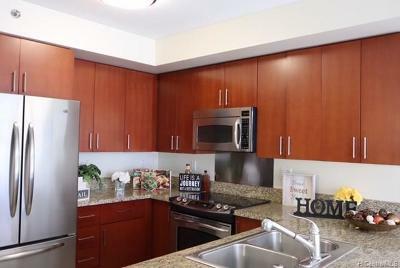 909 Kapiolani is a pet friendly! Dog lovers - house rules allow one dog with a height limit of 20 inches from the ground to his/her shoulder. If you have a big dog, let's find another place for you.